In many countries, resilience and development gains continue to be undermined by recurrent, predictable slow onset food and nutrition crises. Despite early warning signs, the humanitarian community is slow to react, only after lives and livelihoods already have been lost. In an attempt to battle this problem, Save the Children UK has been investing in internal financial and technical resource toward early action. This means reacting to forecasts of a potential crisis before it has escalated to be defined as such. This document draws on the findings of an external evaluation and internal reviews and analysis to consolidate the learnings of three Early Warning projects. The report is aimed at NGOs, donors, and governments who would like to learn how we can better institutionalize early action responses in countries that are susceptible to slow onset crises. We are witnessing extremely high levels of humanitarian need even as global wealth is higher than ever before. This year’s Global Humanitarian Overview (GHO) therefore provides, for the first time, an analysis not just of how many people need humanitarian assistance, but a clearer understanding of why. The humanitarian response plans outlined in this year’s GHO are the result of in-depth, country-by-country analysis of the most comprehensive data available. Funding requirements are projected to be comparable to last year. While some crises have escalated, this year we also have better prioritization of the most vulnerable and severely affected people, and a stronger coordination with development partners to ensure a focused humanitarian response. Despite the challenges, the humanitarian system is more effective and impactful than it has ever been. We are better at identifying different groups’ specific needs in crises and quicker to respond when disasters strike. Response plans are more inclusive, comprehensive, innovative and prioritized. We have a better picture of needs and vulnerabilities. And we have dedicated networks in more than 20 countries to protect people from sexual exploitation and abuse. All of these factors allow us to design effective responses that save lives and protect livelihoods. VOICE out loud 27 Have we forgotten the Lake Chad Basin? This edition of the VOICE out loud explores the situation in the Lake Chad Basin. We have asked our members in ACTED, Accion contra el Hambre, COOPI, DRC, Concern Worldwide to share their experiences about this complex and proctracted crisis. A new publication is the result of the joint cooperation of the Protestant organization Diakonie Katastrophenhilfe, its Catholic counterpart Caritas Germany and the Federal Ministry of Foreign Affairs of Germany. It is based on the experiences gained from 2015 to 2017 in the project “Building resilience to disaster risk through emergency preparedness and disaster risk management in rural Maya communities in the Departments of Baja Verapaz, Quetzaltenango and Quiché, Guatemala”. The document compiles relevant information for DRR-projects in Central America in form of lessons learned and best practices, with the aim of benefiting projects to be designed in the coming years. This event, organised by the working group " Emergency, Reconstruction, Development" of the French Water Partnership, will remind that, in a cotext of climate change, water, sanitation and hygiene (WASH) services are strongly impacted by natural disasters. This event will provide a state of play on Disaster Risk Reduction (DRR) and present DRR practices implemented by humanitarian actors in the field of WASH. Since 2001, Handicap International has been supporting strategies that empower communities and local institutions to prepare for, reduce the impact of, and respond to disasters and, in the long-term, increase their resilience. Their objective and added-value is also to ensure that these strategies are inclusive, enabling the most at-risk groups, and especially people with disabilities, to become actors in risk reduction and to benefit from protection. This study highlights DRR policies and programming of a selection of EU Member States and presents recommendations for the further elaboration of their policy work on Disaster Risk Reduction. 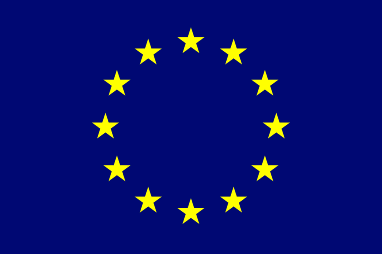 In 2012 – 2013 VOICE engaged in the consultation organised by the European Commission when it developed its Resilience Communication as well as in the drafting of its Action Plan. Last year VOICE also contributed to the EU process leading to the EU Global Strategy on Foreign and Security Policy, bringing forward a perspective from humanitarian NGOs. Today, the Global Strategy remains a political vision and the upcoming new Communication on Resilience, which will be developed under the leadership of the EEAS, is perceived as an essential step in its implementation. NGOs from the humanitarian and development sectors welcomed the civil society consultation that was organised on February 17th around the upcoming Communication on Resilience. This contribution is based on meetings held with members and key points raised by them, on VOICE positioning and contributions to the EU policies on resilience and the Global Strategy, as well on the outcomes of the three workshops held during the civil society consultation. ActionAid launched a new report "Hotter Planet, Humanitarian Crisis", which found that over 400 million people have been affected by this year's El Nino weather event, as a result of record droughts in a year that has also seen record levels of CO2 and the planet's hottest ever year. The report calls on the international community and donor countries to provide more climate finance and close the $3.1 billion funding gap to deal with the current El Nino crisis. Capacity building and adaptation strategies, as well as better planning, are needed to ensure such predictable crises can be prevented in the future. Collaboration between climate and humanitarian bodies must be strengthened. This paper, based on the critical review of the SFDRR published by the Global Network of Civil Society Organisations for Disaster Reduction (GNDR), aims at highlighting key priorities to be considered by the European Commission when developing its Staff Working Paper, following the adoption of the SFDRR, and ways the VOICE DRR Working Group can specifically contribute. 1) Incorporate resilience building as a condition for providing OverseasDevelopment Assistance (ODA) to ensure that all new investments are risk informed, reduce risk, and are acceptable for those people who bear any new risk. e.g. through the introduction of resilience markers in funding applications. 3) Provide a percentage (50%) of national DRR budgets directly to local governments for community-led DRR projects. 1) Incorporate resilience building as a condition for providing Overseas Development Assistance (ODA) to ensure that all new investments are risk informed, reduce risk, and are acceptable for those people who bear any new risk. e.g. through the introduction of resilience markers in funding applications. 2) Allocate 5% of ODA as funding for DRR specific activities. VOICE Out Loud 21: European Year for Development: what's in it for humanitarian aid? In this issue, VOICE members address the advantages and challenges of development and humanitarian working together, looking at DRR, Core Humanitarian Standard, displacement in urban settings. With consultations on the World Humanitarian Summit ongoing, 50 humanitarian NGOs made a statement on humanitarian principles, while civil society coalitions came together with priorities for implementation of the Sendai Framework for Disaster Risk Reducation. We hear an update on the situation in Ukraine, and the views of the European Parliament standing rapporteur on humanitarian assistance, Mr. Guerrero-Salom MEP. The Hyogo Framework for Action on Disaster Risk Reduction (HFA) has provided critical guidance to reduce disaster risk. Its implementation has, however, highlighted gaps in addressing the underlying risk factors and effectively safeguarding communities. In order to build on the successes of the HFA and address its shortcomings, the Post-2015 Disaster Risk Reduction (DRR) Framework must work to address reality at the local level. The new framework calls for actors to identify their roles in implementation. This Joint Statement outlines the commitments that governments should make and that civil society organizations (CSOs) will make to ensure that policies are translated into meaningful solutions at the local level. VOICE calls on the European Union to strengthen support for international cooperation and the role of civil society in disaster risk management. This issue looks at the evolution of EU humanitarian aid, the European Consensus on Humanitarian Aid's value especially in conflicts and complex crises, DRR and resilience programming, gender in humanitarian aid, and the EU's funding for humanitarian aid. The ICRC shares their views on key humanitarian challenges and we get an update on the situation in South Sudan. This study commissioned by VOICE presents an analysis of how EU Member States and NGOs have engaged with the Consensus and how it has informed Member States' decision-making and policies. By presenting findings from the view of NGOs, the study seeks to contribute to an understanding of what NGOs consider the crucial elements of the Consensus, and of EU humanitarian aid more broadly. Une série de six brochures a été élaborée pour fournir des informations clés en vue de la session de la Plate-forme mondiale pour la réduction des risques de catastrophe. Dans cette première brochure, nous allons définir la notion de réduction des risques de catastrophe, notamment dans le domaine du développement, et expliquer pourquoi elle mérite une attention accrue aux niveaux local et international. Les autres brochures expliqueront comment appuyer la réduction des risques, en prenant en compte les facteurs réels de risques, en affectant des ressources plus adaptées, en établissant une coordination avec d’autres secteurs et des partenariats novateurs, ou à travers des cadres internationaux. Une série de six brochures a été élaborée pour fournir des informations clés en vue de la session de la Plate-forme mondiale pour la réduction des risques de catastrophe. protéger les vies et les moyens d’existence contre les catastrophes. Cette brochure est la troisième d’une série de six fournissant une introduction aux discussions clés sur la réduction des risques de catastrophe. Dans cette brochure, nous allons explorer comment la réduction des risques de catastrophes s’intègre à d’autres problèmes de développements tels que l’adaptation au changement climatique, la réduction de la pauvreté, et la résilience; pourquoi une approche globale est importante; et comment la mener à bien. Cette brochure fait partie d’une série qui fournit une introduction aux thèmes clés de la réduction des risques de catastrophe. Ici nous regardons comment les cadres post-2015 maintenant en discussion peuvent contribue à améliorer la RRC dans le futur. Cette brochure fait partie d’une série fournissant une introduction aux discussions clés sur la réduction des risques de catastrophe. Dans cette brochure, nous allons explorer comment financer la RRC et quelles approches adopter pour soutenir au mieux la réduction des risques.